More and more purchasers are making buying decisions based on the ‘green’ attributes of an item. This is an increasing wave of selling power that astute manufacturers are starting to ride. Get your company on this wave and enjoy increased sales and the personal satisfaction of knowing you are doing the environment a great service. There are several options that Plastic Waste Solutions can offer you to improve your green attributes and performance. 1) Use of Alternate Materials other than Plastic. PWS can suggest the use of biodegradable materials such as cardboard or paper to replace plastic wrapping or packaging. 2) Sourcing of Alternate materials. PWS can help you locate international sources of alternate materials. For example the use of paper straws over the ‘lasting forever’ plastic straw that causes so much litter. Plastic Waste Solutions (PWS) can show you a way to make your plastic items biodegradable in a landfill. Approximately 80+% of plastic items now discarded go to a landfill to persist there for many 100s of years. Long after your business has ceased operations and its name written into the history books, the plastic items you produced will still be there. Putting a biodegrading agent into your plastics at the time of formation will allow them to biodegrade away in your life time and leave only natural humus or plant food behind. This gives you the comfort that you are leaving our world a cleaner place for our descendents to live in. 4) Design of Special Projects Dealing with Small Scale Plastic Waste. Some problems require special solutions. While PWS is not able to solve every problem there is for plastic waste, there are some we can solve for you. 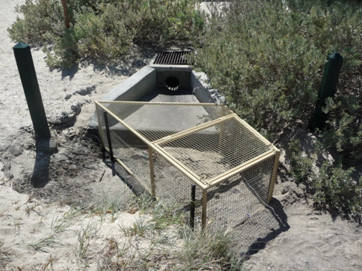 For example PWS manufactured and installed some litter traps for storm water outlets that were emptying onto some beaches. The outlets were dumping numerous plastic bottles, food containers, straws and such on to the sand every time it rained. Plastic Waste Solutions Pty Ltd can be contacted via email using the contact form page.